Major changes that affect the workplace tend to cause mixed emotions. That’s true in the case of the Internet of Things (IoT) and the connected devices under its umbrella. Will high-tech advances make your life easier? Or will smart devices make your job obsolete? Let’s take a look at some of the most likely ways the IoT will alter things at work and explore the pros and cons of such developments. One of the positive aspects of the IoT on employees is that it’ll probably mimic the assembly line by reducing repetition in the work environment, especially when the IoT devices learn from past experiences. From that point on, the humans who used to handle those jobs can spend more of their time on rewarding and mentally challenging work. Think about how some repetitive tasks, such as typing, can cause problems like carpal tunnel syndrome (though this is rare). Still, severe cases require surgery and may make a person who types a lot for a living unable to work as efficiently. However, many IoT devices recognize voice commands, theoretically allowing people to type less and talk more. There’s also a possibility that the IoT will adversely affect your ability to make some decisions, mostly because as devices try to deliver convenience, they may make it so that you don’t have to choose. Consider an IoT-enabled coffee maker that learns what time you get to work and has your favorite brew waiting when you arrive. Or what about a thermostat that knows you like to drop the temperature by a few degrees in your office each afternoon to help yourself stay alert? Both of these examples already exist, and they’ll become even more prominent in workplaces, as well as homes. Although you can change settings so that the gadgets don’t keep doing things that don’t suit your preferences, the fact that the smart devices know what you want before you ask may make you feel stripped of free will. As mentioned above, IoT gadgets that help humans take care of tedious work could give them more time to do other things. Those devices can also capture data that accumulates during workdays, allowing managers to analyze that information and make wiser decisions. According to some estimates, it’s possible to process up to 90 percent of invoices without human intervention. That statistic shows how automation could drastically affect the workforce of the future. Because processing data is only one part of the equation, some companies offer platforms help business leaders see all of them with one interface. 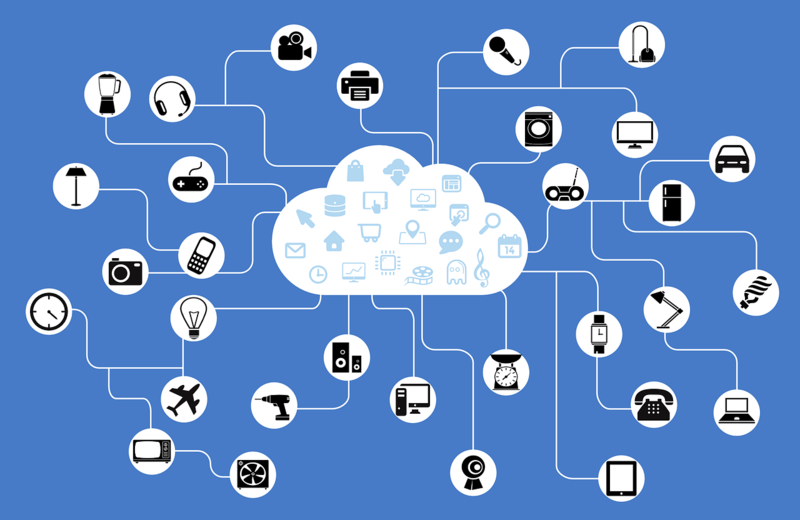 The Google Cloud IoT Core service provides users with the infrastructures and services necessary to manage numerous connected devices at once, thereby facilitating better data usage over time. When managers efficiently use those gadgets and the information they compile over time, it should be easier to make profitable choices, increase employee productivity and create an all-around better work environment. It’s not difficult to find alarmist articles about how the IoT and related technologies could steal jobs. However, it’s important to realize how the IoT is also creating jobs people hadn’t previously imagined. That’s happening inside and outside the United States. For example, Aruna Sundararajan, a government telecommunications leader in India, believes the IoT will create up to 15 million new jobs in the country over the next few years. Instead of thinking the worst and assuming the IoT might make you unemployed, now is the time to prepare for what’s ahead and gain the knowledge needed to start working in an IoT-centric role potentially. Depending on factors such as your age, the field in which you work and how much you like your job, you might have thought you’d stay in your current position until retirement. Shifting into a different role might seem scary at first because you’re making a move you hadn’t planned for. However, the specialization required by many IoT jobs means they also offer higher-than-average salaries. Even if you hadn’t thought of changing careers, your decision to do so — or at least keep the option in mind — could help your career and boost your bank account balance. Based on this list, you can see there are pros and cons associated with the growing prevalence of the IoT in today’s workplaces. In the best-case scenario, employers should take their workers’ concerns into account when implementing emerging IoT technologies, while workers should stay continually alert for ways to develop their skills in case a career change becomes the best option.